Buy with an account and earn 5 loyalty points. Your cart will total 5 points worth $0.50 for future use. 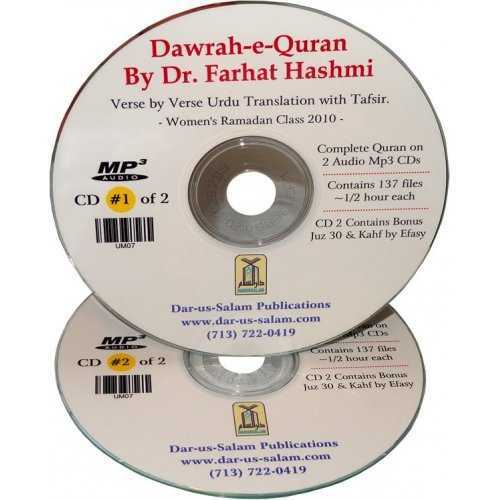 Quran Recitation with verse by verse Urdu Tarjumah done in high quality by Darussalam Studio Lahore, Pakistan. Quran recited by Imam-e-Kaba Abdur-Rahman Sodais and Saud Ash-Shuraim. Urdu Terjuma by Maulana Muhammad Juna Junagarhi. Urdu read by professional Urdu radio host. 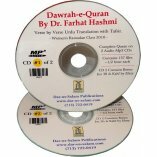 CD #1 covers Para 29 from Surah Nuh (#71) to At-Takwir (#81) in Para 30. 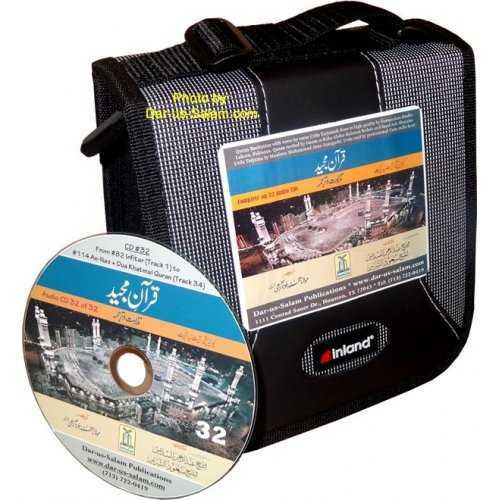 CD #2 covers Para 30 from Surah Infitar (#82 to An-Nas (#114). Also includes dua katmul Quran by Imam Sodais.